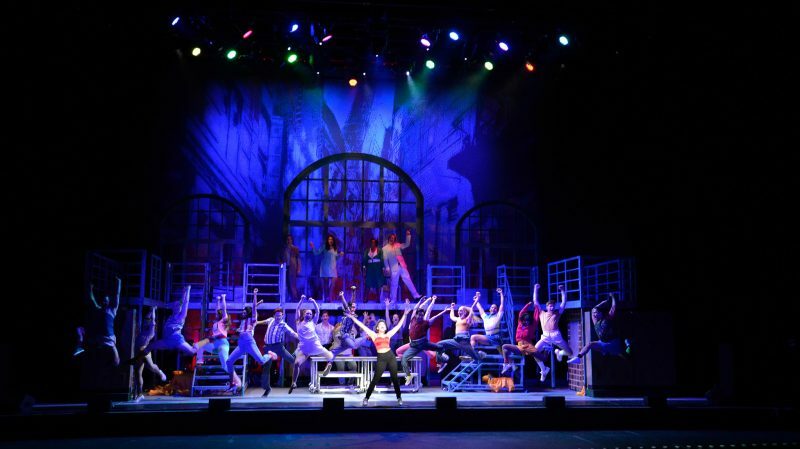 FAME- the Musical National Tour stops in Oxford Thursday night at the Gertrude C. Ford Center for the Performing Arts. “Fame – The Musical” makes a stop at the University of Mississippi’s Gertrude C. Ford Center for the Performing Arts this week as part of the acclaimed production’s North American tour. The musical is set for one performance at 7:30 p.m. Thursday (Sept. 29). Tickets, which range from $57 to $69 each, are available at the UM Box Office in the Ole Miss Student Union and online at http://www.fordcenter.org/event/fame-national-tour/. Based on the hit movie and Emmy Award-winning television series, the production tells the story of driven high school students admitted to an exclusive performing arts school in New York and their competitive nature as they strive to develop their talents in the industries of music, dance and theater. The young artists navigate their time through their four years of high school in the 1980s, with all the triumphs and tribulations that accompany them, while captivating audiences with acclaimed choreography and Academy Award-winning music. “Fame” was originally conceived and developed by David De Silva, who has been involved in the creative process for the movie, television series and musical. De Silva was fascinated by a magnet school in New York City, the School for the Performing Arts, and its exclusivity and fostering environment for youth art education. “This school took these kids out of their neighborhoods to build on their passion for the arts – rich, poor, black, white,” De Silva said. “What makes ‘Fame’ special is its social consciousness in terms of themes. “There are characters that are funny, but there’s a seriousness to what education is all about. There are lessons to be learned in this story. Though it began as a movie, De Silva originally envisioned the story as a theatrical production because it is organically musical. The musical was created in 1988 and has since reached 60 million people in more than 30 countries. He hopes the Oxford and Ole Miss community attend the performance, not only to see a critically-acclaimed musical but also to enhance their own exposure to the arts.